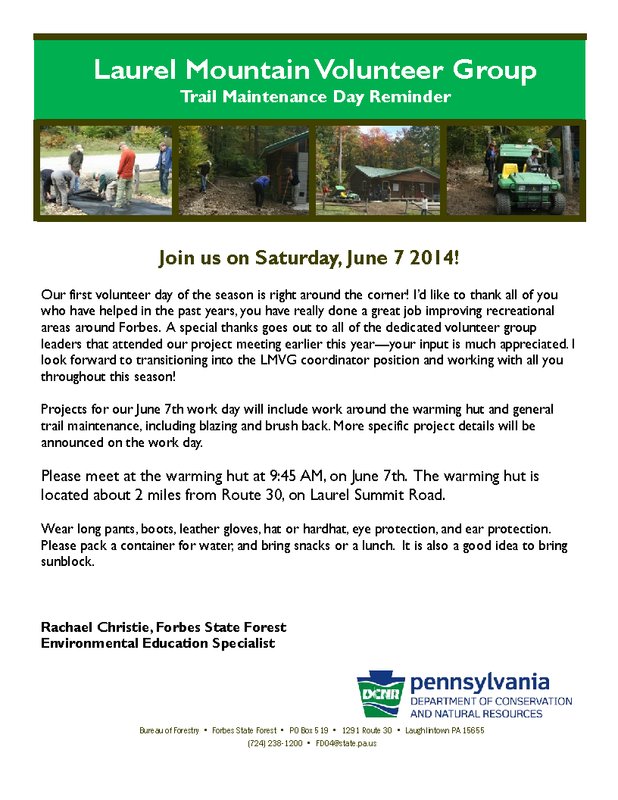 Projects for the Laurel Mountain Volunteer Group June 7th work day will include work around the warming hut and general trail maintenance, including blazing and brush back. More specific project details will be announced on the day. Please meet at the warming hut at 9:45 AM, on June 7th. The warming hut is located about 2 miles from Route 30, on Laurel Summit Road. Wear long pants, boots, leather gloves, hat or hardhat, eye protection, and ear protection. Please pack a container for water, and bring snacks or a lunch. It is also a good idea to bring sunblock.